Watchmen is an action brawler video game based on the movie of the same name. A complex, multi-layered mystery adventure, Watchmen will take us to the brink of destruction. In alternate 1985 America – in which costumed superheroes are not only real but have ultimately been outlawed – one former hero goes looking for the truth behind the murd.. The use of Lego in Rock Band will allow players to "build" their band from their own personal avatar to the manager, crew and even roadies. Expect Lego/'/s trademark humor found in previously licensed properties to make an appearance as well. Songs included in the title will include Blur’s Song 2, Carl Douglas’ Kung Fu Fighting.. The Witcher 3: Wild Hunt is the third and final game in the Witcher series that sees Geralt/'/s adventure take on a more open-world role without acts and chapters. It is a dark fantasy, non-linear, open world RPG with a focus on a character-driven story, player choice, tactical combat and a rich living world. .. Unseen lands from the world of Middle-earth are coming to your home in 2011, as WB Games and Snowblind Studios are proud to announce The Lord of the Rings: War in the North. This visceral action-adventure RPG is set against the backdrop of the famous trilogy, yet forges its own distinct path with a new story and an exciting take on .. Developed by Supergiant Games, Bastion is an action role-playing game for Xbox 360 and PS3. “Bastion” is an action role-playing experience that redefines storytelling in games, with a reactive narrator who marks your every move. Explore more than 40 lush hand-painted environments as you discover the secrets of the Calamity, a surreal catastr.. In a truly original interactive experience, young players join Cookie Monster, Elmo and other Sesame Street characters as they explore a living storybook titled Once Upon a Monster. In the book, they make new zany monster friends from the Once Upon a Monster world and share in their adventures, solving problems, forging friendships and learning key..
Harry Potter and the Deathly Hallows , Part 2 is a third-person shooter where Harry battles death eaters and dementors while fleeing for his life across the wilds of England. [ul][li] Take on the role of different characters as each plays a pivotal role in the battle for Hogwarts. [li] Collect the Dark Mark tokens in-game to unlock and play a..
Based on the last three Harry Potter books and final four films, LEGO Harry Potter: Years 5-7 takes players through Harry Potter’s heroic adventures in the Muggle and wizarding worlds. From Privet Drive in Little Whinging to Diagon Alley, Hogsmeade and Hogwarts – plus new locations including Grimmauld Place, the Ministry of Magic, and Godric’s Hol..
Lollipop Chainsaw is the /'/un-deadly/'/ story of sweet and killer zombie hunter Juliet Starling and her quest to uncover the root of a colossal zombie outbreak. With her wickedly awesome chainsaw in hand, Juliet slices, dices and splits her way through hordes of the undead, but soon realizes the horde is only the opening act to a festival of zombi.. Happy Feet Two - The Videogame is a 3D musical adventure game inspired by the animated film Happy Feet Two. [i]This game supports stereoscopic 3D. [/i] .. The Witcher 2: Assassins of Kings is an action RPG game for Xbox 360 and PC based on the works of author Andrzej Sapkowski. ..
Based on all eight Harry Potter films, Harry Potter for Kinect allows players to join Harry Potter, Ron Weasley and Hermione Granger as they embark on an unforgettable journey through Hogwarts School of Witchcraft and Wizardry and beyond. With Kinect’s scanning technology, for the first time ever in a Harry Potter game, players will be able to scan..
LEGO The Lord of the Rings is based on The Lord of the Rings motion picture trilogy and follows the original storylines of The Lord of the Rings: The Fellowship of the Ring, The Lord of the Rings: The Two Towers, and The Lord of the Rings: The Return of the King. Now the entire family can team up in pairs as adorable LEGO The Lord the Rings minifig..
A new era in fighting games is coming. 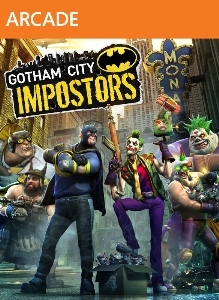 From the makers of Mortal Kombat - Injustice: Gods Among Us. What if our greatest heroes became our greatest threat ? Injustice: Gods Among Us debuts as a bold new fighting game franchise that introduces a deep, original story featuring favorite DC Comics icons such as Batman, Superman, Wonder Woman, ..
Midway Arcade Origins, being developed by Backbone Entertainment, combines more than 30 golden age arcade classics on one disc for $29.99. The Midway Arcade Origins collection offers arcade favorites, including Defender, Gauntlet, Joust, Rampage, and Total Carnage, as well as 720°, A.P.B., Arch Rivals, Bubbles, Championship Sprint, T..
Mad Max will deliver dynamic, open-world gameplay where gamers fight to stay alive in The Wasteland, using brutal on-ground and vehicular combat against vicious gangs of bandits. Players are challenged with treacherous missions as they scavenge the dangerous landscape for supplies to build the ultimate combat vehicle. The game will debut for Xbox O..
Mortal Kombat Arcade Kollection Games for Windows.. 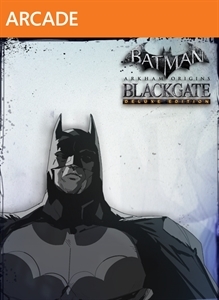 Developed by WB Games Montréal and Rocksteady Studios, [url=http://www.360-hq.com/xbox360/games/Batman_Arkham_Collection_Edition/2782/]Batman: Arkham Collection Edition[/url] brings together the full collection of Arkham Games: [ul][li] [url=http://www.360-hq.com/xbox360/games/Batman_Arkham_Asylum/831/]Batman: Arkham Asylum[/url][/li][li] [url=h.. In Middle-earth: Shadow of Mordor, players take on the role of Talion, a valiant ranger whose family is slain in front of him the night Sauron and his army return to Mordor, moments before his own life is taken. Resurrected by a Spirit of vengeance and empowered with Wraith abilities, Talion ventures into Mordor and vows to destroy those who have w..
From the makers of the immensely popular LEGO The Lord of the Rings, comes LEGO The Hobbit, inspired by the first two films in The Hobbit Trilogy: The Hobbit: An Unexpected Journey and the upcoming The Hobbit: Desolation of Smaug, productions of New Line Cinema and Metro-Goldwyn-Mayer Pictures (MGM) as well as the collection of LEGO The Hobbit cons..
Batman: Arkham Origins Blackgate - Deluxe Edition amplifies the 2.5-D game with new maps, enemy encounters, difficulty levels, batsuits, and enhanced visuals. A companion game to Batman: Arkham Origins, players can continue the storyline of the console version and discover more details of the Dark Knight’s past. Featuring stealth gameplay, free-flo..
Mortal Kombat X combines cinematic presentation with all new gameplay to deliver the most brutal Kombat experience ever, offering a new fully-connected experience that launches players into a persistent online contest where every fight matters in a global battle for supremacy. For the first time, Mortal Kombat X gives players the ability to choose .. Following the epic storylines of Jurassic Park, The Lost World: Jurassic Park and Jurassic Park III, as well as the highly anticipated Jurassic World, LEGO Jurassic World is the first videogame where players will be able to relive and experience all four Jurassic films. Reimagined in LEGO form and told in TT Games/'/ signature classic LEGO humor, t.. When a mysterious and powerful vortex suddenly appears in various LEGO worlds, different characters from DC Comics, The Lord of the Rings and The LEGO Movie are swept away. To save their friends, Batman, Gandalf and Wyldstyle bravely jump into the vortex and quickly find themselves fighting to save all of LEGO humanity. Let creativity be the guide .. The Force is strong with this one… The No. 1 LEGO videogame franchise triumphantly returns with a fun-filled, humorous journey through the new Star Wars adventure. Play as all of the characters from the movie, including Rey, Finn, Poe Dameron, Han Solo, Chewbacca, C-3PO, and BB-8, as well as Kylo Ren, General Hux and Captain Phasma. In LEG..
tart your engines and gear up for the ultimate racing experience in Cars 3: Driven to Win inspired by Disney•Pixar/'/s film, Cars 3. Play with over 20 customizable characters including Lightning McQueen, Jackson Storm, Cruz Ramirez and the next generation of racers in over 20 tracks set in iconic locations from the film such as Radiator Springs. Tr..